If you love the seafood, Dubai is the right place with lots of restaurants offering a variety of seafood with local flavors. From most popular dishes such as tuna to the one greatly liked by locals, the restaurants have rich menus to cater all your needs. All you need to do is just find a restaurant and check the menu to ensure if it includes what you really want. With vast sea cost, Dubai is one of the top fish producers in the world. However, the market is stacked with frozen fishes that rampantly selling across the country. Even some restaurants hugely buy those fishes for their customers. So when you plan to dine out, go to one of the top seafood restaurants in Dubai offering locally procured fishes. In addition to devouring the great local seafood, you can also make a visit to the Mina Fish Market and Old Deira Market. Both places are located near the marina beach and are widely famous among fish shoppers. They are the best places to buy fresh local fishes. You will be surprised at seeing the variety of fishes. Most restaurants famous for mouthwatering seafood also get the supply of fishes from these two fish market. Like the Deira market, the variety of seafood on offer at Mina is astonishing. It has such a huge stock of fishes to cater a large number of people. Getting friends or relatives’ suggestion is a good idea and it works here also. You can ask your friends who have a liking for eating out. This will very helpful in finding a seafood restaurant that offers a good feast with a healthy cuisine comprising of fresh fish and seafood complemented with the green salads in an awesome atmosphere. There are a plethora of reviews available online. 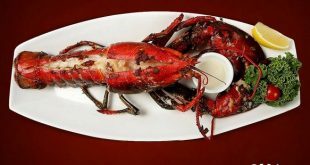 All you can need to do is just go to a reviews portal and put in the name of restaurant offering local seafood. You will come out with a number of reviews with the information you will find very useful in deciding to choose. If you do not have time for those things, just visit Fish Hut. 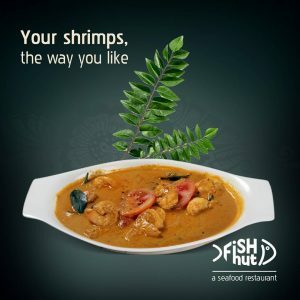 It one of the most trusted local seafood restaurants in Dubai serving a wide range of fresh seafood. The best thing about this restaurant is that it catches fishes itself so freshness is always guaranteed. Moreover, the staffs are very amiable and customer services are unmatched. In addition, you can select the fish of your choice from the chiller. Fish Hut is ideally located and can be reached in just 5 minutes from Dubai Mall and Burj Khalifa and a few minutes’ drive from Dubai international airport.